Waterford County Comhairle na nÓg are working on Body Image in 2014. In September we launched the #WhatIsBeauty campaign. The campaign looks at the Body Image pressures that young people face growing up today. The campaign consists of three themed videos, posters and an activity sheet – which, when used together, acts as a resource pack for SPHE teachers and Youth Workers. Waterford County Comhairle are also focused on the merger of Waterford City and Waterford County Comhairle, and will be hosting joint meetings and activities from now on. The video below features the work of both Waterford City and Waterford County Comhairle prior to the merger. Waterford County Comhairle is also continuing work on ways to increase the participation of young people in local festivals and events. We will continue to promote positive Mental Health with Mind Matters and our anti-Cyber-bullying campaign with the Cyber Code – see below. 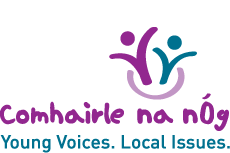 The work of Waterford County Comhairle na nÓg was recognised at the highest level in November 2013 at the IPB All Island Pride of Place Awards in association with Co-operation Ireland. The Comhairle, nominated by Waterford County Council to represent the County, took home top prize in the Enterprise and Youth Category. We have been focused on increasing the participation of young people in local festivals and event. We raisedover €800 for the “Déise Darkness into Light” Pieta House walk. 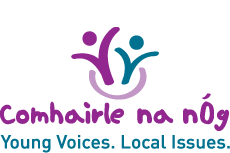 We are founding members of County Waterford Task Group on Suicide and organizing youth consultations. We have attended conferences giving a young person’s perspective on Mental Health. We have also held sessions with employees of GSK Dungarvan on looking after their Mental Health and being aware of their children’s Mental Health. We completed our “Mind Matters” DVD to put the message of positive mental health to the forefront of young people’s minds. We filmed well-known figures and Comhairle members talking about their own experience with mental health. See video below.